Move right in to this sunny 4 bedroom, 4 bathroom home with private backyard and no rear neighbours. Located in desirable Lakeview Park. 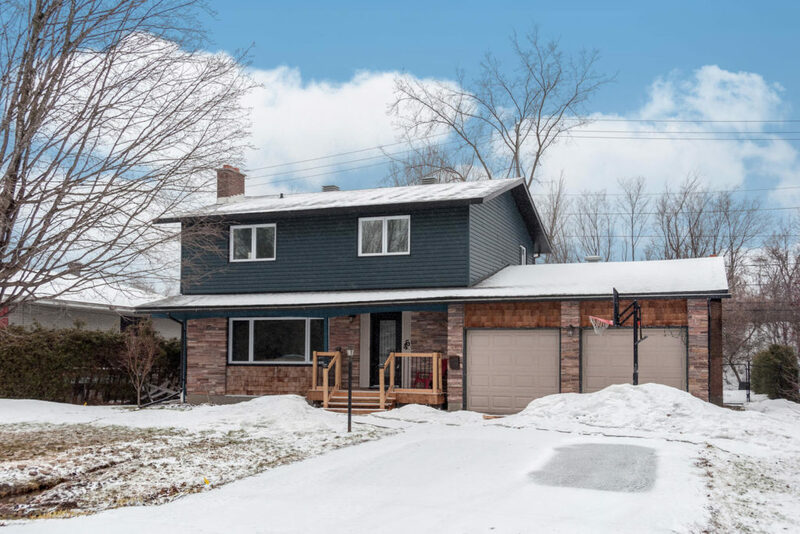 Beautifully updated with hardwood floors (2016), renovated bright white kitchen with stainless steel appliances (2016), main and ensuite baths (renovated 2017). The lower level of the home is tastefully finished with new low-maintenance laminate flooring and combination bathroom/laundry (2018). Very large backyard with gazebo (included), two decks, and inviting fire pit for a blissful evening under the stars. Only minutes from the Ottawa River, Trans-Canada cycling/walking trail, Nepean Sailing Club, NCC green space, Britannia Beach, and DND Carling Campus. This incredible space is waiting for you and your family. Living Room (L-Shaped)23'1" x 18'8"
3pc Bathroom / Laundry10'4" x 6'6"
From Richmond Road take Holly Acres Road. Turn left onto Aero Drive.